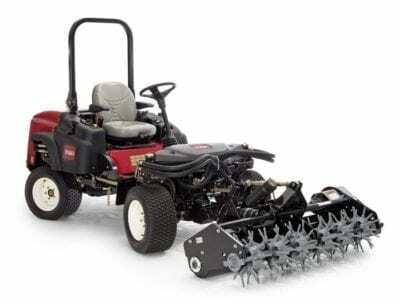 The Groundmaster® 360 works with four of the 1st Products 60” shafts (AERA-Vator 60” Shaft, Slicer 60” Shaft, Multi-tine 60” Shaft , Coring 60” Shaft) enhancing and complimenting the versatility of the GM®360. Order below or click here for more information about the Groundmaster. The following 1st Products shaft attachments are available for the Groundmaster® 360 for increased versatility. 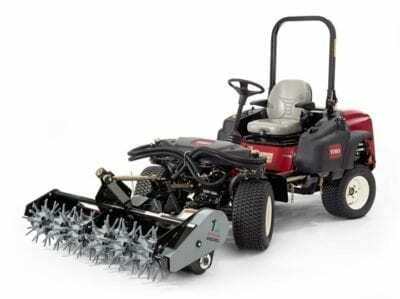 The AERA-Vator 60” Shaft using solid vibrating tines can be used for sports fields and golf courses for routine aerification and compaction relief in the hardest conditions. The Slicer 60” Shaft with its 4” blade can be used for slicing and stress relief in all turf applications with minimal disturbance. 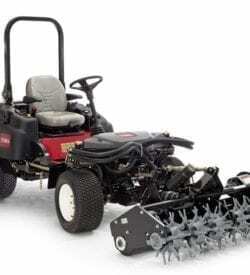 The 2” Multi-tine 60” Shaft makes a great seedbed for over-seeding tees, fairways and sports fields. The Coring 60” Shaft uses side-eject tines with variable depth control using the weight of the GM®360. Tractor Requirement – 30-40 hp. 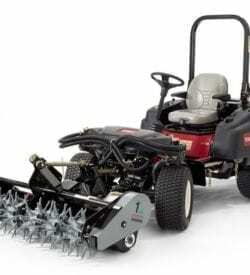 Minimum Lift Capacity – 1375 lbs.